Download "Georgia Department of Human Services Georgia Senior Supplemental Nutrition Assistance Program (SNAP) Application"
Free and Reduced Price School Meals Letter to Households Page 1 of 1 L E T T E R T O H O U S E H O L D Dear Parent/Guardian: School Year 2014 2015 * * * * * * * * * * * * * * * NEW THIS SCHOOL YEAR!!! Apply for Free and Reduced Price Meals OR Prepay for Meals Online! Massachusetts Department of Transitional Assistance FOOD STAMP BENEFITS FOR YOU AND YOUR FAMILY- APPLY TODAY! IT S EASIER THAN YOU THINK! 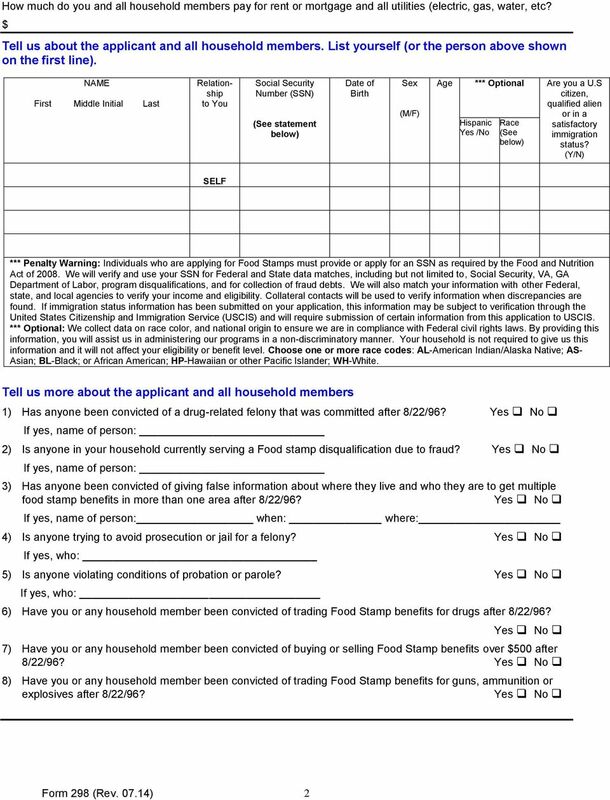 WEST VIRGINIA DEPARTMENT OF HEALTH AND HUMAN RESOURCES SUPPLEMENTAL NUTRITION ASSISTANCE PROGRAM (SNAP) APPLICATION You have the right to file an application the same day you contact the County Office. 9. WILL THE INFORMATION I GIVE BE CHECKED? Yes and we may also ask you to send written proof. There are other Medicaid programs that require a different application from this one. 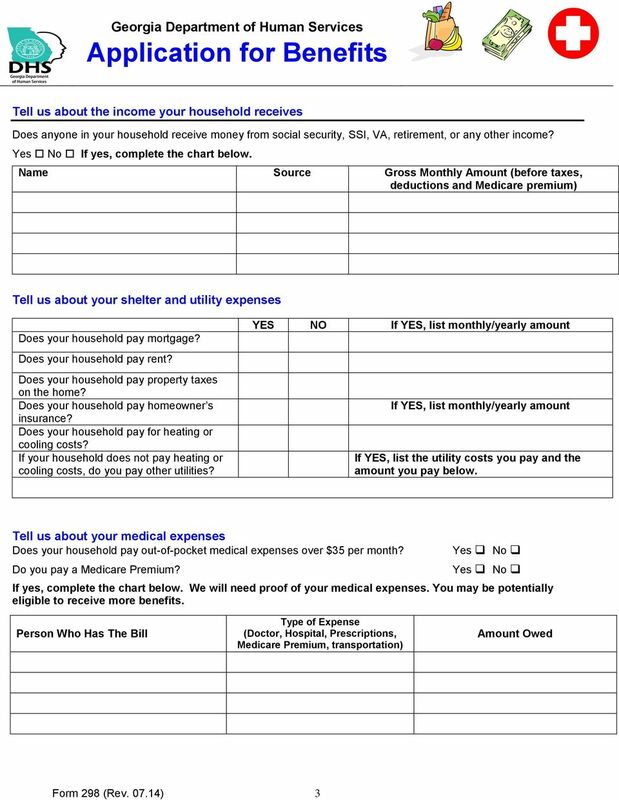 RIGHTS AND RESPONSIBILITIES West Virginia Department of Health and Human Resources (WV DHHR) Bureau for Children & Families Division of Family Assistance SUPPLEMENTAL NUTRITION ASSISTANCE PROGRAM The U.S.
2013-2014 SPECIAL NOTE COMPLETE ONLY ONE FORM FOR YOUR FAMILY. You will need to mail or fax us copies of items that apply to your case. See the next page for a list of these items. Name Date of Birth (Last) (First) (Middle initial) Address City. State Zip County Drivers Lic/ID. Home Telephone Cell Work. 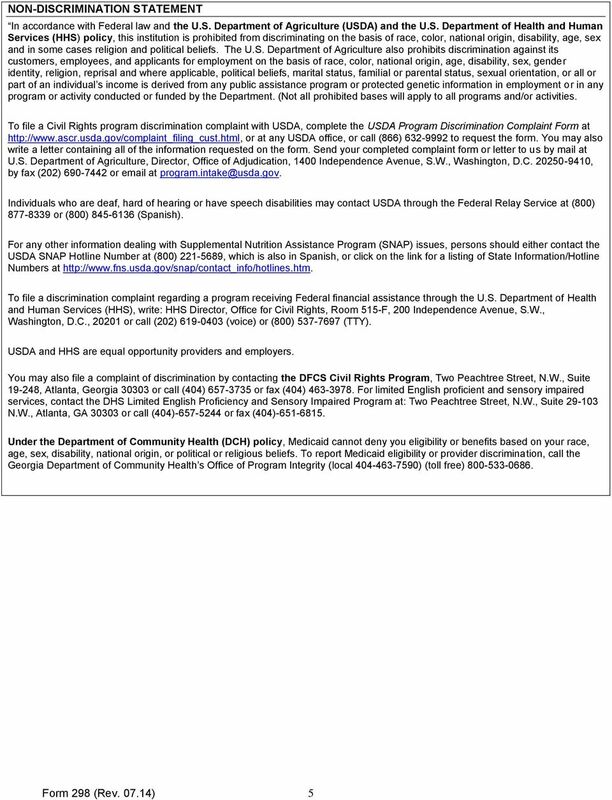 Illinois Department of Public Aid Health Benefits for Workers with Disabilities Application Note: This is NOT an application for cash assistance, food stamps or enrollment in the Medicaid spenddown program. FSA can guarantee OLs or FO loans up to $1,392,000 (amount adjusted annually based on inflation). 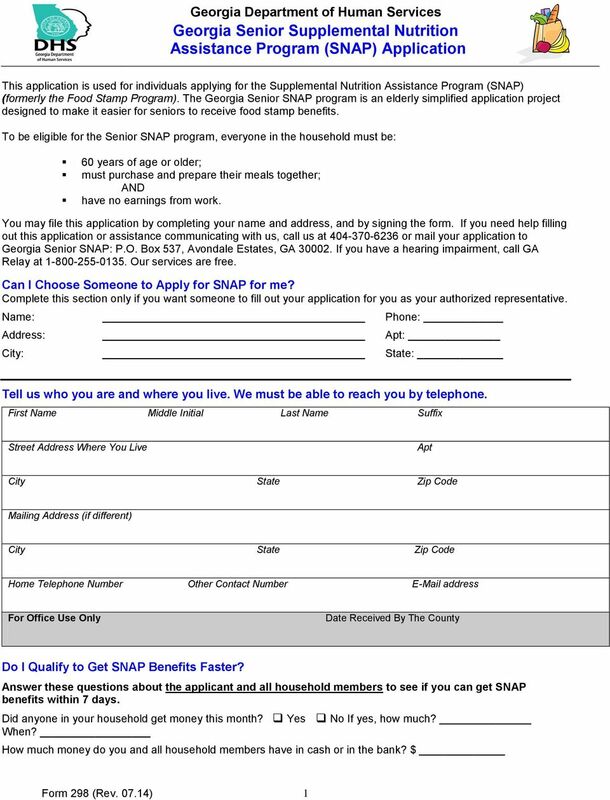 Use This Form If Applying For SNAP Only. 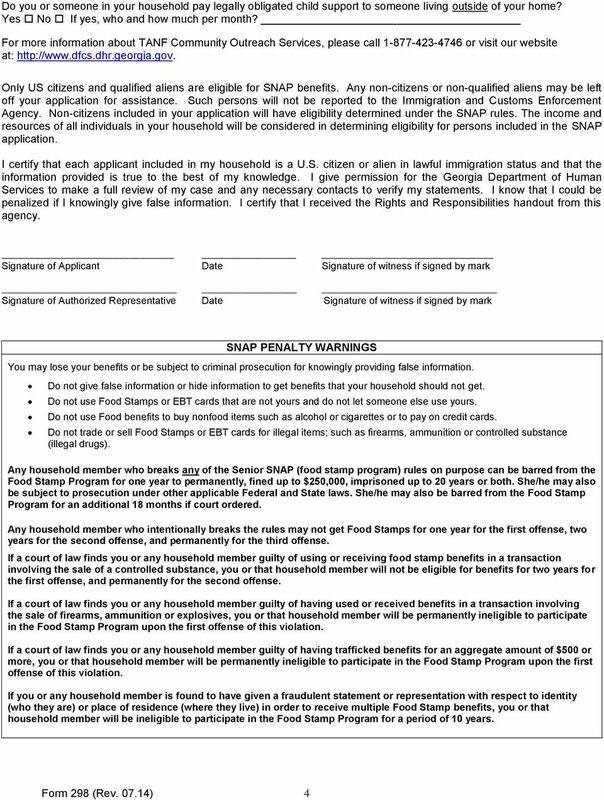 You May Be Eligible For Expedited Processing Of Your SNAP Application. BEAVER DAM UNIFIED SCHOOL DISTRICT NUTRITIONAL SERVICES MANAGED BY TAHER, INC. FREQUENTLY ASKED QUESTIONS ABOUT FREE AND REDUCED PRICE SCHOOL MEALS Dear Parent/Guardian: Children need healthy meals to learn. D. C. Everest Area School District offers healthy meals every school day. Apply faster online at Compass.ga.gov. Application form completely filled out and signed. Health Insurance for Illinois Families Rod R. Blagojevich, Governor KC 2378KC (R-3-04) IL478-2437 KidCare and FamilyCare Plans KidCare and FamilyCare are health insurance plans for Illinois residents. Q. 4 Can I receive email, or text or voice mail messages letting me know when benefits are deposited to my EBT card? Civil Rights and Child Nutrition Programs by Hawaii Child Nutrition Programs 1 What are Civil Rights? 2 Purpose To ensure benefits of CNPs are available to all eligible people in a nondiscriminatory manner.